Amazingly quiet! Bright and spacious, 5 bedroom, 2 bath family home with beautiful views from the large deck! H/W floors, W/B fireplace, freshly painted with updated kitchen and bath on the main. 3 bdrm suite down with high ceilings - could be rented separately or used by upstairs. Well maintained home in move-in condition. Bonus of a brand new furnace and 10 year old roof. High Ener Guide for low heating bills! 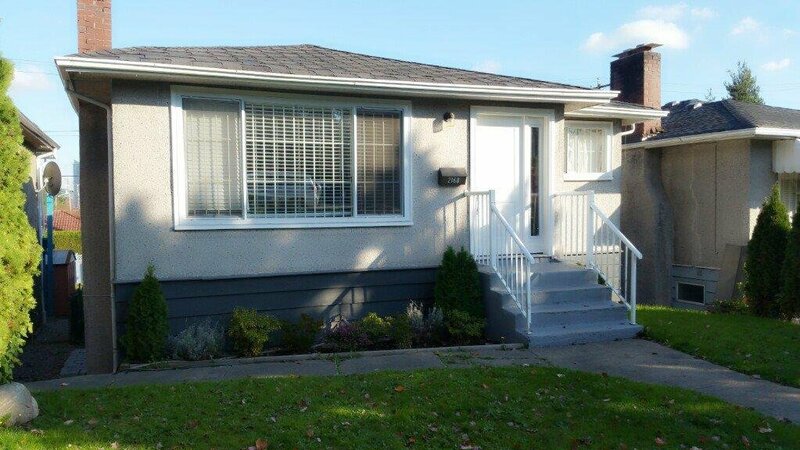 Fabulous location: Close to schools, 3 blocks to skytrain, Superstore and Canadian Tire. Possible assembly lot to Multiple Dwelling! School Catchment: Thunderbird Elementary & Vancouver Technical Secondary.